Members of the Advisory Board of the UNESCO Scientific Advisory Board on Tuesday at the inaugural meeting of the Board elected Prof. Bartho. 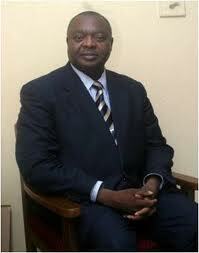 N. Okolo, Vice Chancellor, University of Nigeria, Nsukka as its chairman for the next four years. The election, held in the Board room of the premier University, was part of a series of events put together by the International Biotechnology Centre, UNESCO Category 2, to mark its inaugural conference on Biotechnology. Speaking during the election, leader of the foreign delegates to the conference and Executive Secretary, International Basic Sciences Programme, UNESCO Headquarters, Maciej Nalecz noted that the choice of Prof. Okolo as its chair is a fallout out of the belief of members of board in his ability to steer the ship to greater heights in biotechnological developments. “His leadership qualities are well-trusted, and there is no doubt he will bring this to bear on the board and its functions. He is professional, visionary and astute, and we find it fitting to have him help drive the board and its responsibilities to the Centre,” he said. Prof. Naliecz also reaffirmed the commitment of the world body to the nation’s drive for biotechnological advancement, stressing that the Centre would facilitate the expected related outcomes. The Scientific Advisory Board (SAB) is a creation of the International Governing Board on Biotechnology, and will function primarily in an advisory capacity such as offering advices on strategic objectives of the International Centre for Biotechnology, scientific orientation of the Centre and monitoring, evaluation and performance of the Centre. Members of the advisory board at the meeting include Ms Lucy Hoareau, Desk Officer for Biotechnology, UNESCO Headquarters; Prof. Iqbal Parker, DG, ICGEB, South Africa; Prof. Dinakar Salunke,Director, Regional Centre for Biotechnology, New Delhi, India; Dr. Chris Nwoguh, Health Protection Agency, Salisbury,UK and Prof. Tim Crick, University of Sheffield, UK. Others are Prof. Walter S. Alhassan,SABIMA Accra, Ghana; Prof. Phillippe Desmeth, President of world federation for culture collection (WFCC); Prof. Dafna Feinholz, Chief of Section-Bioethics, UNESCO Headquarters; and Dr. Chikelu Mba, FAO, Rome. The International Centre for Biotechnology, UNESCO Category 2, University of Nigeria, Nsukka will provide state of the art laboratory facilities to enhance research, develop research for food security, develop tropical disease research initiatives, provide training for postgraduate students and postdoctoral fellows and develop capacity for biotechnology policy and practice. The choice is to restore the dignity of man. congrats.